GDC Europe has appointed its advisory board, selecting industry execs, tech experts and consultants to ensure the event meets the needs of the European audience. 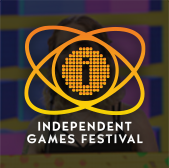 IGDA chair Bob Bates, a 23-year industry veteran, joins the board, and in addition to Stormfront Studios vet Don Daglow, Streamline Studio founder Alexander Fernandez is also participating. The advisory board will also include consultant and former German trade group leader Tom Putzki, and Harald Riegler, CEO of Austrian studio Sproing, as well as marketing and strategy veteran Sean Kauppinen, founder and CEO of the International Digital Entertainment Agency. 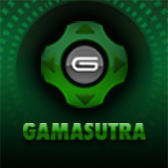 Strategic Alternatives principal Bob Wallace has also joined the board, which is led by Frank Sliwka, conference director and VP of business development at organizer Think Services (also parent of Gamasutra). 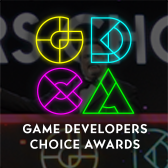 "The members of the board are all contributors who will work diligently to champion GDC Europe and guide the program so that we can elevate the level of discussion at the conference and ensure value for our attendees," says event director Sliwka. GDC Europe takes place August 17-19 at the Cologne Congress East Center in Cologne, Germany, and will host more than 80 sessions addressing the needs and opportunities for developers and business professionals throughout Europe today. It's held in conjunction with European consumer and trade event Gamescom. Interested parties can find further details about GDC Europe at the event's official website.